Why African Fashion Should Adopt The Lean Startup Strategy. How can we learn more quickly about what works in African Fashion so that we discard what doesn’t? Enter the Lean strategy as gleaned from the book by Eric Reis “The Lean Startup.” If you are ever going to work to disrupt African fashion as we know it, then you better be lean. The truth is that African fashion start-ups will have to be fast, embrace new thinking while being geared for disruption and innovation with periods of uncertainty. I have been there and back since starting this blog. My vision for isiomastylereport.com is to become the voice of African Fashion. There are about I billion people in Africa and I believe that I can reach all of them by disrupting African fashion in an innovative and creative way. The plan for this blog is to operate in the present with key lessons from the past. Why? Because all that outmoded form of business that may work for traditional brick and mortar store will not work for my vision, especially not with the way mobile phones are spreading like wildfire throughout the continent. So I am ready for a very messy and bumpy ride, but that’s what disruption is all about. If you want to succeed in African fashion whether as a designer or a writer, you have to work now to re-imagine almost everything you may have heard about starting a business. It took me awhile and several failures to learn this to the point that I firmly believe that isiomastylereport is poised to disrupt writing about African fashion as we know it and I mean this with all confidence. We are a style report built on ideas and sharing them with people who are interested in dreaming big or disrupting African fashion as we know it. I am also all about thinking slow and fast to help bring those ideas you may have about African fashion to an end result that is successful and sustainable. So you will not see 20 posts a day from me, nope, just one or two at the most. Each post will be deliberate in showcasing the power of ideas for fashion and style from Africa. My goals with African fashion is about constant reinvention on that which people, especially non-westerners describe as African fashion. What you will get from me is the truth as well as cutting-edge thinking and practices that is poised to propel African fashion to new heights. It has been 3 brutal years of learning to make ISR what it has become. Trust me, I have failed and made a lot of mistakes along the way. I have been too eager to please people with my ideas thinking we were all on the same page. I have also been rejected by not one, but countless sites who did not think that my style of writing was suited for their audience. The many, many essays on African fashion did not lead me anywhere, despite my hopes, my dreams and it even got to the point where I felt like a failure. So. it has not been an easy journey, but that’s what innovation is all about. The road to success is never an easy process. Even hardwork and perseverance almost never translates to success. The truth is that isiomastylereport.com was destined to fail from the beginning. This the grim reality; “most startups fail…most new ventures do not live up to their full potential,” according to Eric Reis. The way to change this is to start thinking lean and get The Lean Startup as a guide. I know that I plan to do so. In the mean time, here is a synposis of the book as shared by Facebook COO Sheryl Sandberg. 5-second summary: A guide for building a business on a shoestring budget. Why women should read it: Women are underrepresented as founders of startups. 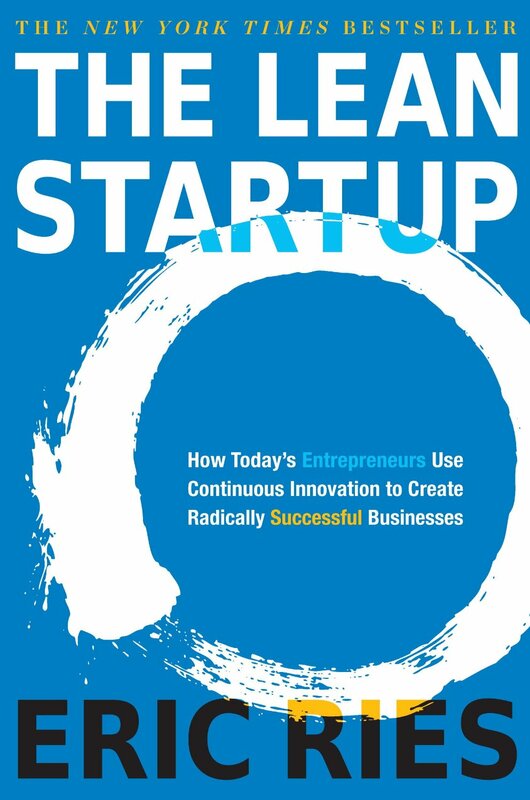 This book provides a strong foundation for starting a company. Next Next post: Weiz Dhrum Franklyn is one African Fashion Designer to Know: It’s all in his precise details.